I’ve been making pies for a long time. My mom taught me to make a homemade crust when I was young, and we’ve been making them every Thanksgiving, Christmas, Fourth of July and occasional birthday since then. Here’s one I did for Thanksgiving last year (we ate it while watching football :). Is this starting to sound complicated? It isn’t. I promise. So don’t freak out. 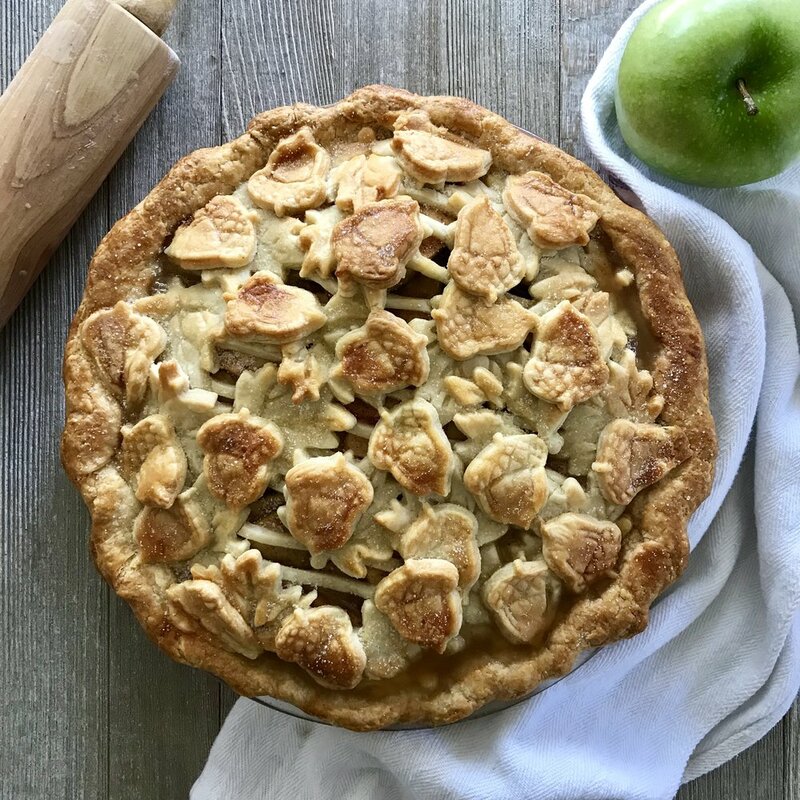 People always freak out if you start talking about pie crust. But there’s nothing to freak out about. If you have time, read through the recipe one time so you have an understanding of the big picture before you start. Place the flour, sugar and salt in a food processor. Pulse a few times to combine. Add five tablespoons ice cold water to the butter and flour mixture. Pulse several times until it has the texture of cornmeal: The dough should still feel dry when you run your fingers through it (watch out for the food processor’s blade when you do this! ), but will hold together in a ball when you squeeze it in your hand. If the dough is too dry (does not hold together when you squeeze it), add one more tablespoon of water and pulse again. 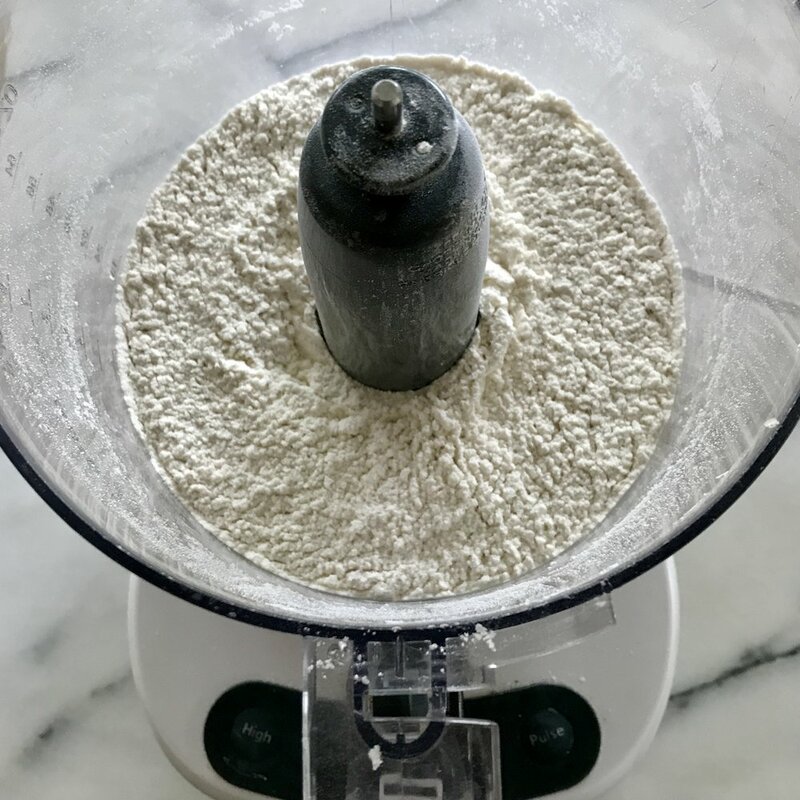 Important: Do not add more than five or six tablespoons of water; too much water makes your dough sticky, which means you will have to add a lot of flour to roll it out, which means the dough will taste bland and may become tough.